Indoboardman Hunter Joslin spent a couple weeks out in California the end of February and March. On his many adventures, he stopped by Auburn Fit Training facility for a visit. Bryan and Jacquelyn Twardus are all about creating a fun atmosphere at Auburn Fit. They proudly proclaim, via a sign on the wall, “Not A Gym” and operate with the motto “Fun Fitness” for all their clients. Bryan is an elite Ultra Marathon runner and wants everyone to know that Auburn, CA is the epicenter of Ultra Marathon training in the entire USA. Auburn Fit has a lot of fun with the Indo Board. Bryan and Jacquelyn Twardus are great Indo Board Ambassadors. You can follow their training studio, Auburn Fit, on Instagram @the_auburn_fit. We always love seeing your Indo Workouts. Tag us on Instagram @indo_board! We are very excited to share with you our completely redesigned and reinvigorated website. Please take a look here. Exclusive offer! Get 10% Off on any Indo Board Original – Robert August combination! Indo Board President, Hunter Joslin, has been invited to Munich Nov 16-17, 2017 to participate in the selection process of the 2018 ISPO Brandnew Winners. As a former Brandnew winner back in 2004, Hunter will join the inaugural Brandnew Winner from 2000, Robby Naish, on the special jury commemorating the 30th ISPO Brandnew. How cool is that! High atop, at the base of Maui’s Haleakala volcano, Indo board Brand Ambassador and team rider Suzie Cooney and clients, Sid and Alysha, are looking out over the N shore and Maliko. Eyes glued to the water in preparation for the 2018 OluKai downwind race. Training always includes Indo Board. You can get this gear on Suzie’s website at “Suzie’s Top Gear Picks”. Challenge, Indo Board World Wide Tribe! How many tricks can you connect without letting your Indo Board touch the ground? Brand Ambassador, team rider, and fitness expert Bryan Twardus wants to take your fitness level to new heights! If you can, train with Bryan at the Auburn Fit! See Bryan’s amazing video here. In this video tutorial Indo Board team rider, Trinity Lewis and his dad, Robert Lewis, show us how to do a backflip and land back on the Indo Board! For more fun and amazing instructional trick tutorials, please follow Trinity at https://www.youtube.com/user/trinitylewis. Get it – Indo Board FAM! Wednesdays are for CRUSHING! How many of these weighted squats will you do today? Get your cardio going! Get that blood moving! Wake up every single muscle! How strong and how good do you really want to feel? Grrrr! Alise Isbell leads us into a great week! See Alise’s inspiring video and read the great comments here. And in this next challenge, see how well you can (1). counter-balance on your Indo Rocker and Roller (2). Indo Board X2 and (3). balance while sitting on your Original Indo Board. Click here to see team rider Leo Oppenheim’s mind-boggling video. How cool is this! Indo Board at 1 hour and 12 minutes in the new film titled, Take Every Wave, starring surf legend Laird Hamilton! Thank you, Laird! How To Get INDO Your Indo Board Flow. Check out yoga teacher and surfer, Liz Crosby’s inspiring video. Find yoga teacher Liz Crosby at Liz Crosby Yoga. Longtime Indo Board team rider, professional wakeboarder, professional actor, and good friend, Nick Liam Heaney, stars as Avery in a new film titled, Culture of Fear. Indo Board Man, Hunter Joslin, and Nick take a moment at the Culture of Fear Press Party in Orlando Florida! Take a look at Nick’s FOX News interview here. By the way, that’s our new graphic, the Indo Board Snowflake. Get it here. The Indo Board Newsletter, June 2017. We are always happy to hear from you 24/7. Indo Board was happy to be invited from event sponsor Quicksilver to demonstrate Indo Board products at the Quiksilver store on the Grande Plage right out in front of all the surfing action at the 2017 ISA World Surfing Games in Biarritz, France. 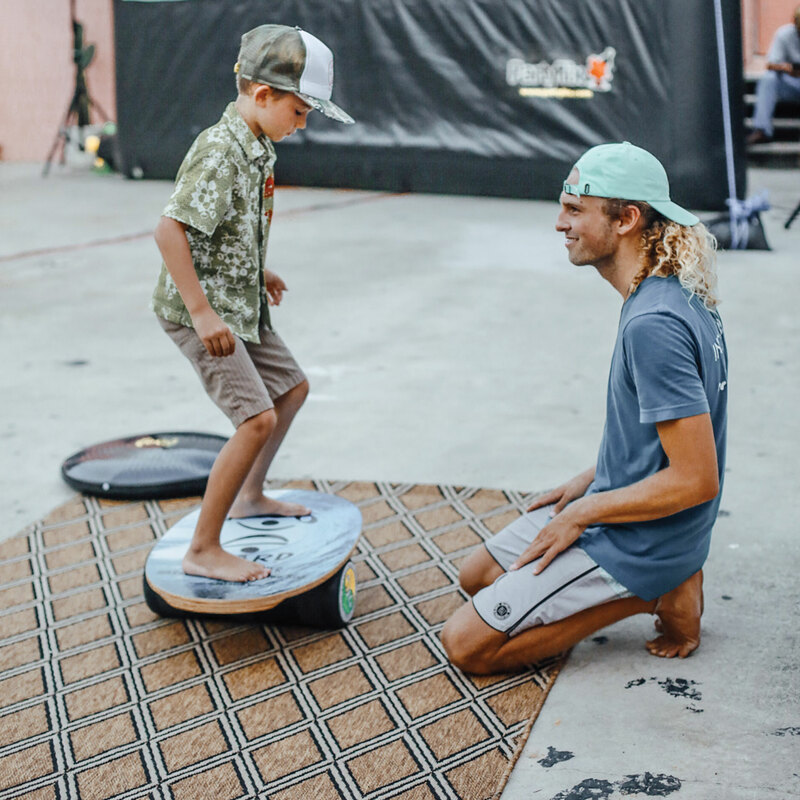 Hunter Joslin, the inventor of the Indo Board and Nicola Cerciello (left), our number 1 European Master Trainer, gave demonstrations and provided valuable advice on Functional Training to improve Surfing Performance! Find Indo Board Master Trainer Nicola Cerciello on his Facebook page here. We were stoked to be at the World Surfing Games with Jim Hogan the coach of Team Costa Rica! In blue, Indo Board President, Hunter Joslin. Our good friend, Peter Townend, was the very first ISA/ASP World Surfing Champion which began in 1976. He is now the coach of Team China, and Indo Board will be a part of their training program for the 2020 Summer Olympics! Surfing will finally be recognized as an Olympic sport! How cool is that! Team England has been using Indo Boards for over 10 years as a part of their training regimen. And here, Team Italia! Thank you, Quiksilver for having Indo Board at the in front of the Quiksilver Store on the Grand Plage at the 2017 ISA World Surfing Games Biarritz, France! Lastly, we are grateful to have spent time with Peter Townend (center) who has been working very diligently with Team China. Hunter Joslin (left) and Adriano Roldan (right) worked with 10 different International Teams including Argentina, Italy, Senegal, Afghanistan, Australia, Sweden, England, China, Morocco, Panama, and Japan! Hurry! Get 10% OFF the Indo Original FLO GF this monthly only, June 2017 at http://indoboard.com/catalog/specials?price=0-133. The Indo Original FLO GF Natural features an all wood board with a large Indo Man logo on a fully textured deck and the IndoFLO Balance Cushion. The Original Indo Board and IndoFLO cushion is a mini gym in the comfort of your living room! (Includes Deck, IndoFLO Cushion & Demo DVD). This product is designed so that anyone can use it as there is no learning curve or risk of falling. The 14″ IndoFLO cushion provides 360 degrees of instability that can be increased or decreased simply by changing the level of inflation of the cushion. 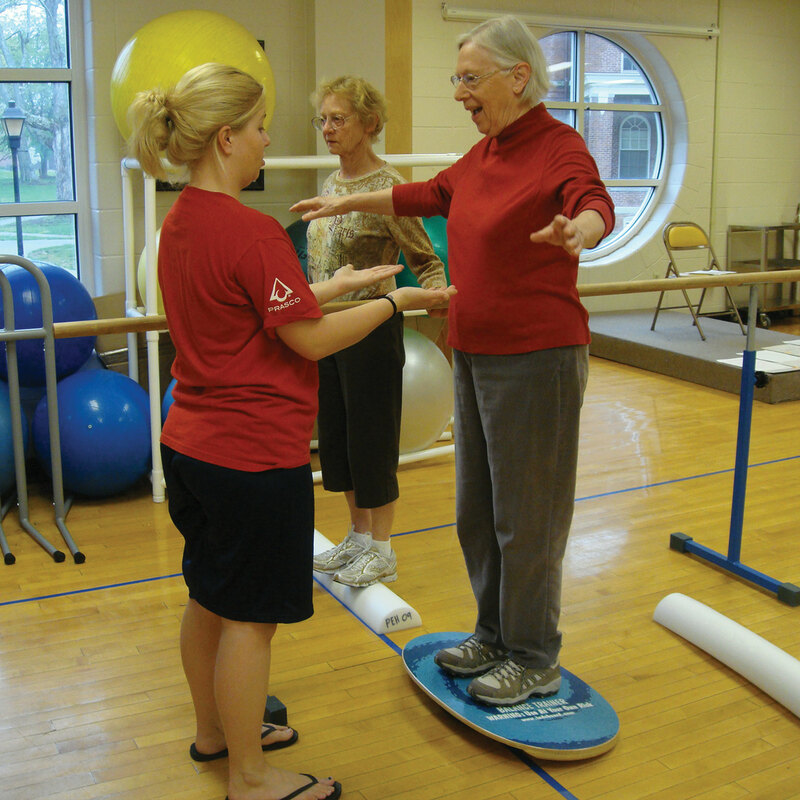 This product is perfect for advanced fitness training, injury rehabilitation, physical therapy, senior fall prevention or as the perfect accessory for a stand-up workstation. Get yours here. Challenge, Indo Board World Wide Community! How many wall ball squat variations will you do today? Fitness professional Bryan Twardus of Auburn Fit shows us how. Remember – don’t let the Indo Board touch the ground! Click here to see Bryan’s workout video. Come to http://www.auburnfit.com and let Bryan Twardus, his wife Jaquelyn Twardus and team help you keep your workouts fun. Want to see more? Check out Auburn Fit’s Instagram page. How long can you balance on your Indo Board Pro on top of your IndoFLO® and Gigante Cushion? This exercise created by Indo Board Brand Ambassador, Suzie Cooney called the Suzie Floater is extremely challenging and fun! Demonstrating is Mike Miranda. This is super killer leg training! Find Suzie Cooney on her Instagram here. Suzie offers training sessions using SKYPE. 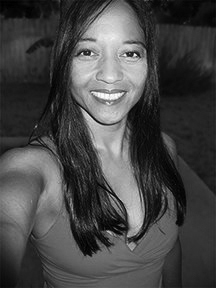 If you’d like to train with Suzie, contact her at http://www.suzietrainsmaui.com/. How To Develop Shoulder and Core Strength with Indo Board Master Trainer and Brand Ambassador, Jim Leo with Racing Driver, Pippa Mann! Listen, watch, and learn in this informative video. In this video, Indo Board Team Rider, Trinity Lewis, shows us exercises on how to improve your air awareness. For more amazing and fun tutorials, Click Trinity Lewis and follow him on his YouTube Channel. 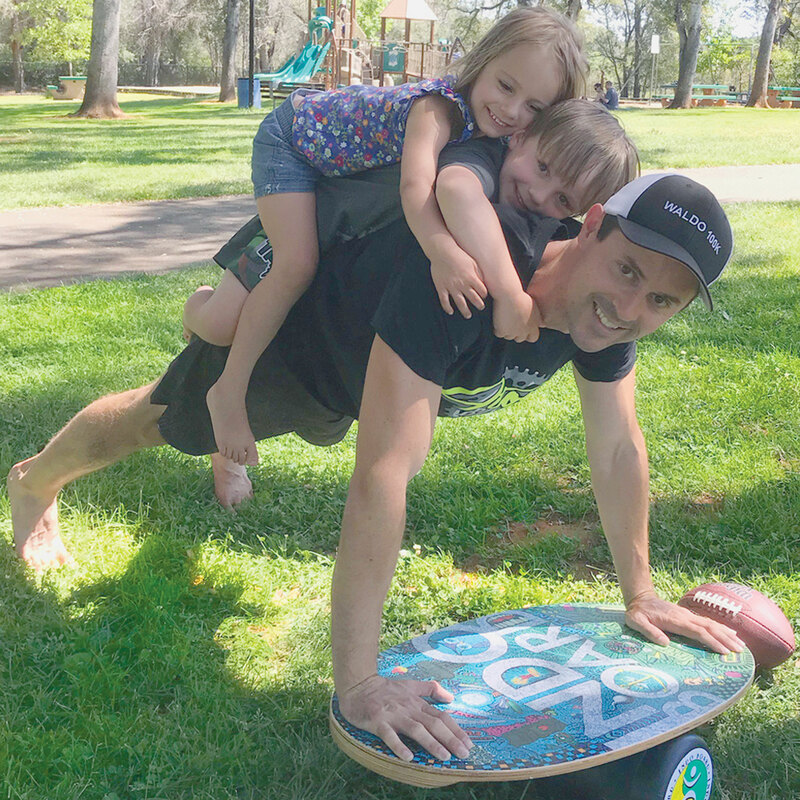 While holding a weight, do a box jump on your Indo Board and IndoFLO® Cushion like Igor Morozov, one of the top ski jumpers in the world! Great work, Igor! See his video here. How many seconds will you hold a plank position like Alise Isbell in this video? This is such a great core warm up exercise! Remember you can practice stand up paddle board yoga on a dock when the water might be too cold or too choppy, or when you just want to keep your hair dry. Isn’t this a great view for Indo Yoga Board practice? Brand Ambassador, athlete, and yoga teacher, Evelyn O’Doherty, lives the dream.